Welcome Back! I have with me today Rosalyn Eves, author of Blood Rose Rebellion, one of my MOST Anticipated releases of the year! 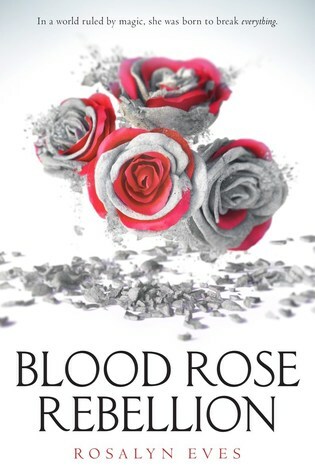 Pitched as perfect for fans of Red Queen, Blood Rose Rebellion revolves around a girl who has the power to BREAK Magic Spells and the revolution in causes. It looks GORGEOUS, and sounds even better (if that's possible) and I CANNOT wait for March to get here so I can jump in! 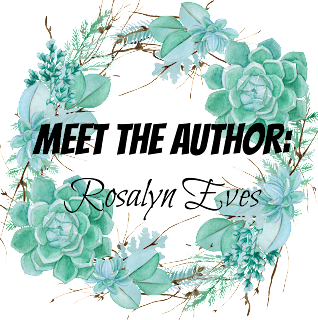 Welcome to the blog, Rosalyn, and thank SO MUCH for agreeing to come! 1. Do you have any pets? Are you a cat person or a dog person? I don’t, though my kids keep asking for a dog! But three kids is enough for now. 2. If you could have written any book in the world, which would it be? Ooh, that’s a tough one. There are lots of authors I really admire (Jane Austen’s eye for social nuance, Leigh Bardugo’s worlds, Lois Bujold’s intricate theologies), but I’m going to go with Katherine Arden’s The Bear and the Nightingale, because that’s the most recent book I wish I’d written—the writing is effortlessly gorgeous, the history seamlessly blended with the world mythology. 4. How did you get the idea for Blood Rose Rebellion? I’d tell Anna to slow down a little and think before she acts. She isn’t always good at that. 6. If Blood Rose Rebellion had a theme song, it would be? I still haven’t found a song that captures the book perfectly, but Imagine Dragon’s “Demon” comes close.